WCS Interview Series, Premier Edition :: Renee Pearson (and a giveaway!) - Write. Click. Scrapbook. Welcome to the first in a series of Write. Click. Scrapbook. interviews with industry experts! We're so excited to kick off our new feature with digital scrapbooking genius Renee Pearson. Renee is the author of two books on digital scrapbooking, teaches classes throughout the United States and internationally, and offers classes through her own digital training site. In other words, Renee Pearson knows her stuff. You can find her online at reneepearson.com or at her personal blog, reneepearson.typepad.com. WCS: What is it about scrapbooking that appeals to you most? RP: Like most of us, what appeals to me about scrapbooking is the opportunity it gives me to tell my story through visuals. I’m a visual person. In fact, when I need to explain an idea to my husband, I usually resort to grabbing a piece of paper to sketch it out. Journaling is my Achilles heel when it comes to scrapbooking, but I’m very comfortable putting together images. I love that scrapbooking allows me to place an emphasis on images that, perhaps with just a few words added, can tell a compelling story. I also love what happens when I grab an older album. While browsing through the pages, I’m transported back in time. Not only to the events or people represented in the pages, but also to the sights, sounds and smells that those memories evoke. WCS: Who would you name as your greatest influences in the development of your own style? RP: Wow! That’s a tough one. There are so many things that have influenced me over the years. I feel there are two sides to “Renee the designer.” One side is definitely the graphic design person. The other is the artistic and creative soul who always manages to express herself in almost everything I do. Of course I’d have to say that my background in graphic design definitely influences how I put together layouts. Without thinking about it, I naturally consider design fundamentals like contrast, balance and harmony. But... (And this is a big but.) I owe just as much to the influences of artists like Robert Rauschenberg whose work expressed a freedom that I find mesmerizing. You can see that influence in my “Life...Art” layout. I get a real kick out of applying fine art influences to my scrapbook pages. Where else can I be as free? RP: That’s a great question! I’m definitely a Mac person, but I didn’t start out that way. When I left IBM and decided to start my own freelance design and illustration business, my first purchase was a brand new Mac. It’s been a devoted love affair ever since. I’d found my soulmate and I wasn’t letting go. I use my computer for much more than design, though. I’m an avid gamer and The Sims is my personal computing game of choice. I’ve spent many hours with my fingers glued to the keyboard, managing the virtual lives of my little Sims. WCS: How do you approach scrapbooking? Do you generally begin with a photo, a story, a Photoshop technique, a particular color combination… or does that process change each time? RP: You know, there really isn’t a single way I approach scrapbooking. Sometimes it’s an event, a story I want to tell, or even as a gift I want to create for someone else. Other times it’s sparked by a photo I want to use, or a design approach I want to try out. I don’t think I ever start with a Photoshop technique or even a color palette. I let the design emerge and fit the tool to the design. I also have to admit that much of the time I have been driven by assignments from the magazine [ed. note: Renee was an associate editor for Digital Scrapbooking magazine until the magazine's last issue, January/February 2009]. It’s funny, because you’d think those would be less personal and more like “work.” But the opposite is true. I’m usually inspired to take an assignment and turn it into something that reflects me. I love that because it’s like a game! WCS: On average, how long does it take you to create a page from beginning to end? RP: Oh, my! That’s a tough question. I can usually whip out a digital page in a couple of hours if I’ve already thought it through and know what I want to do. If not, it can take much longer. And I suppose most of the time it’s the second process. I like “meandering” through my thoughts and ideas, trying out things and experimenting. It’s funny because if you saw the early incarnation of a layout next to its final rendition, you wouldn’t recognize it! But the first cut was the genesis that evolved to become the final page. WCS: To the uninitiated, digital scrapbooking can be both scary and overwhelming. What advice would you give to someone who doesnʼt have a clue where to begin digital scrapbooking to help quell their fears? Absolutely! And now we’re talking about my passion. I love introducing others to this wonderful hobby and playing a part in their discovery that they can, indeed, create beautiful and polished digital scrapbook projects. My first piece of advice would be to not bite off more than you can chew. Photoshop and even Photoshop Elements can feel overwhelming when you first open it. Its paradigm doesn’t fit anything you’re used to. And there’s no way you can learn everything about these tools in a day, week, month or even a year. In fact, I’m still learning more and more about Photoshop almost every time I use it. If you’re just getting started, Photshop Elements is the place to start. You can think of it as “Photoshop Lite.” I haven’t found a single thing a beginning or occasional digital scrapbooker would need that can’t be done in Photoshop Elements. That’s actually how I start when I teach beginning digital classes. We have a class going on right now at my site, reneepearson.com, and the first week students learned how to work with quickpages. By starting with a small project, you get the satisfaction of completing something. There’s nothing like that feeling to keep you motivated to learn more. WCS: Is digital scrapbooking a more cost-effective alternative to traditional scrapbooking? If they’re not printing at home, they’re sending the pages out to have them printed professionally. Either way, there are out-of-pocket costs to digital scrapbooking. But I suppose I’d say that you can manage the cost of digital scrapbooking more easily than traditional paper scrapbooking. For example, you can use a digital element more than once, as many times as you like for a variety of pages. Like traditional scrappers, though, digital scrappers love to shop for the latest and greatest digital kits. It’s all up to the scrapper in the long run. WCS: What is your number one organization tip for digital scrapbookers? RP: Invest in a good organizational software tool and stick with it! It’s a lot of work getting started because you have to tag all of your existing photos and kits. Then you have to be consistent and tag new images as you bring them in. But it will pay off in the long run when you’re looking for that one pink “chipboard” shape and can’t remember which kit it was in. A great free solution is Google Picasa which is available for PC with a beta version for Mac users. WCS: What digital scrapbooking know-how can a student expect to gain after completing one of your online classes? RP: Wow! Where do I begin? Well, beginners can learn how to use Photoshop Elements to create pages using a variety of Photoshop Elements tools. My beginners class is a 4-week hands-on workshop. Each week I upload all the class materials, video lessons and digital kits to complete that week's exercises. Students are free to view the lessons at their leisure. They also have lifetime access to the class lessons. Additionally, we have a weekly chat and a discussion forum with gallery to show off your pages. My intermediate and advanced classes explore the areas of design and digital artistry including collage, montage, and more of the “bending” of Photoshop to achieve stunning results. All of the classes are designed to introduce new skills and build upon those skills as students work through the lessons. While you’ll learn a lot in my classes, I think the greatest benefit (and the one I’m most proud of) is the confidence you’ll have in your new skills and an eagerness to expand them even more. Curious about what you'd find in Renee's digital studio? Read on! I use this monster for heavy design work, like kit designs. It’s a generation behind the times and it’s probably past time for me to replace it drawing, but it still gets the job done. This is my daily workhorse. I do all of my email and writing from here. 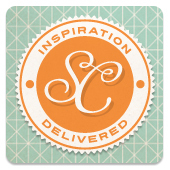 I also do some design work and all of my scrapbooking from this little jewel. I love the portability and wonder, sometimes, how I was ever glued to a desk! Before switching to an Intel Mac, I used this laptop for testing all projects for my books, classes and magazine articles. I also used it to take PC screenshots. I have three Wacom tablets. My 6” x 11” Intuos 3 was my main tablet for a very long time. It’s a comfortable size for me. Recently, though, I acquired a Cintiq 12WX that’s my new favorite toy. I can work directly on the Cintiq’s screen. Love it! I also keep a small Wacom Bamboo in my backpack that I use when I’m working away from home. I use an Epson Stylus Photo R1900 wide-format printer for my pages. I also have an Epson PictureMate that I use for printing 4” x 6” photos. When I need to scan in papers or anything tangible, I use an Epson Perfection V500 Scanner. I also use Adobe Photoshop Elements 7 for PC and Adobe Photoshop Elements 6 for Mac to create and test projects for my classes. Renee has generously offered to provide an one hour online one-on-one tutoring session with one lucky commenter. If you would like it to be you, just leave a comment about the new Love of Color layouts. Good luck! Comments open at 9:00 am EST and close at 8:00 pm PST. Gift recipient will be selected randomly from the comments, and will have until Saturday at midnight to email us at writeclickscrapbook at gmail dot com to claim their gift.